For those of you who have used our .REG files to show core parking settings, we are switching to recommending use of powercfg.exe. Turns out it has a nice command line option that is much more reliable. The registry settings work to show, but once shown, you can’t hide them again without these commands. Thus, there are other data stores that are not impacted by ad-hoc registry guidance previously found on the web. We discovered this only when we tried to re-hide settings – as no ‘opposite’ .REG file with a simple change of integers will work! We also added a few more CPU power subsystem GUIDs, though it is not clear which models support these new ones. 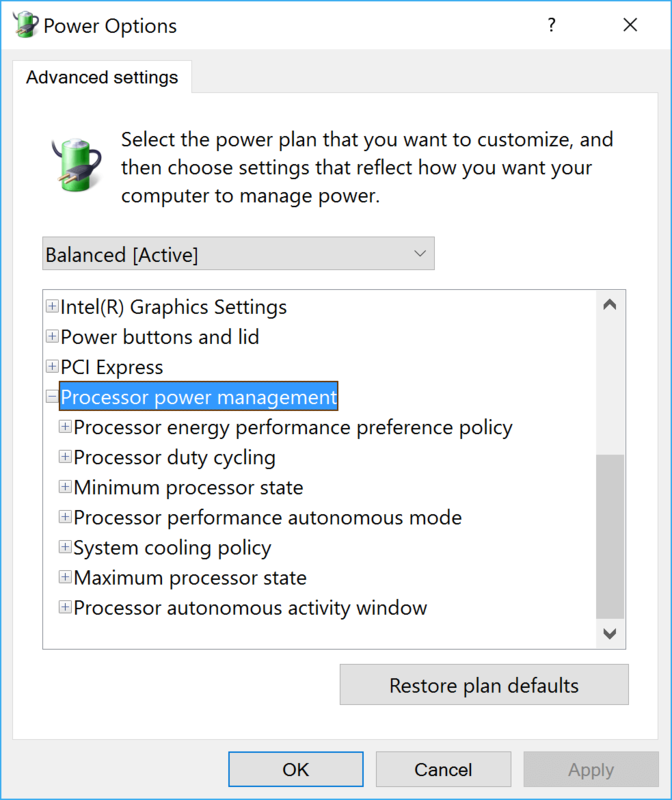 I do have support for Skylake-specific options, but have not yet dived into other processor types to determine at which level each of these settings is active. The latest beta of ParkControl also uses this new mechanism. Special thanks to Ed Kiefer on this one ;).